Local small business owners are constantly looking for new ways to let their community know about their business. 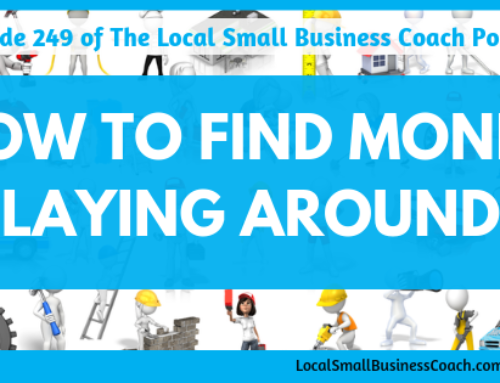 I assume you are one of these local small business owners trying to find the perfect marketing for your business. Sometimes we are looking for ways to jump-start some new sales, sometimes we are just starting out but eventually, you find the things that work well for our particular business. To help jump-start some ideas, here are 33 free or low-cost marketing ideas you can use in your local small business. Word of Mouth – By far, word of mouth will always be your number one marketing vehicle. The power of a personal recommendation can go a long way with a customer/client’s family, friends, and neighbors. You accomplish this by providing great customer service and excellent quality of products or services. 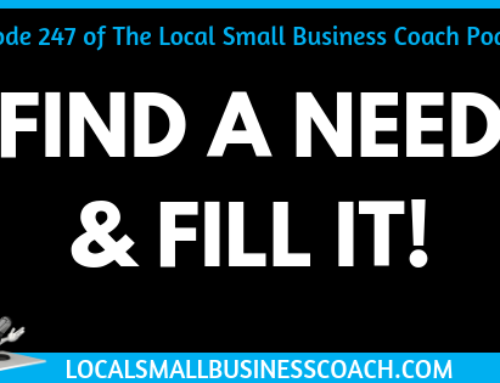 These folks will recommend you when asked by folks who are looking for a great local business. Referrals – Tied to word of mouth is, referrals are the next best thing. The difference between them is, word of mouth is when your folks pass your business along to others without you asking and a referral is when you ask them for folks who might need your services. A great habit is reaching out to past customers or clients and asking them if they know anyone who might be in need of your services. Create a Website – If you don’t have a website, you need one! In today’s Google World, the first-place people go when looking for a business, isn’t the yellow pages, it is the internet. So, you must have a presence on the web with at least the core information they are looking for. 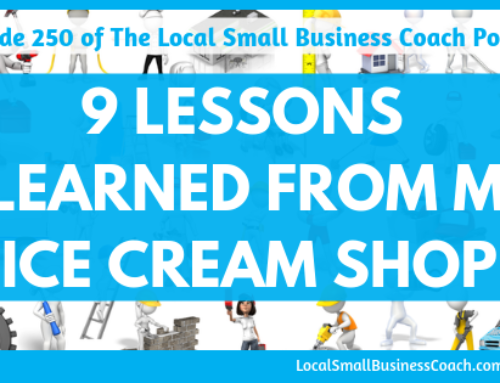 For more on this, see the episode/article I did with the 10 Must-Haves for Your Local Small Business Website. Use a Blog to Educate Your Community – As part of your website, a blog is a great way to teach and educate your community on your products & services. For example, a handyman can do posts on how to do basic repairs. If you are giving away free information, the folks in your area will see you as a resource and when they need someone, you will be who comes to mind. Claim Your Business on all Internet Sites – You must claim your business on Google, Bing, Yahoo, Yelp, etc. Plus, any local websites that allow local small business owners to market their business in a directory of sorts. You will typically find these on local papers or websites. Don’t forget any other business websites that have a business directory for your community. Make sure you put a picture, claim your hours and put your website. Tell Everyone What You Do / Elevator Pitch – Don’t make it a secret what business you have. When you are talking to folks in town and they ask you what you do, have a quick elevator pitch. An elevator pitch is explaining your company in a sentence or two. Just like if you only had a few floors in an elevator to tell someone. Now, don’t drive folks crazy with it, but work it in naturally. You never know when someone you are talking to has a job for you or needs your services or knows someone who does. Car Magnets / Wrap – Since you do the vast majority of your business in your local community, a car magnet, lettering or truck wrap is a great way to shout your business. I’ve had a full truck wrap as well as magnets and stickers. I can’t tell you how many people remember your local business. I bet you can name 4 – 5 businesses in your town now that use these. If you remember them, there is your proof it works. Do an Article with the Local Newspaper or Magazine – A lot of local papers are looking for articles for their community. Speak to the editor and see if you can become a regular contributor with free information for the community. You can also see if they would be willing to do an article on you and your business. Door Hangers – Door hangers are a great way to blanket neighborhoods with your business and what services you offer. You want to create something they might keep around on the fridge. Include a possible coupon as well. You save money on shipping since you get to walk the neighborhood and possibly talk to folks along the way. Bounce Back Coupons – If you have a brick and mortar business, bounce back coupons can be a great marketing tool. A bounce back coupon is something you give to customers that encourage them to come back again. Maybe the coupons give them a free item or heavily discounted one. For example, if you do oil changes, you could give them 30% off on their next visit. You can give them 10% off their next meal or a buy one, get one free. Frequency Cards – Similar to bounce back coupons, a frequency card encourages your customers to come back time after time for the prize at the end. These are great in all types of business that have repeat usage. From drinks to sandwiches, to those oil changes, and any other services that are done weekly or monthly. Collaborate with Other Local Small Business Owners – A great way to find some new customers is to partner with another local small business owner on special events or packages. For example, when I had my ice cream shop, I partnered with the pizza shop next door for a family night. They did pizza slices for a $1 and I did ice cream scoops for a $1. This was a great way for my customers to try their pizza and for theirs to try my ice cream. Who can you partner with? Teach a Local Class – If you have a product or service that can help your community, think about turning it into a class you can teach at the local library or high school. Even if only a few folks show up, the advertising that you get sharing the upcoming class will let folks know you are invested in the community. 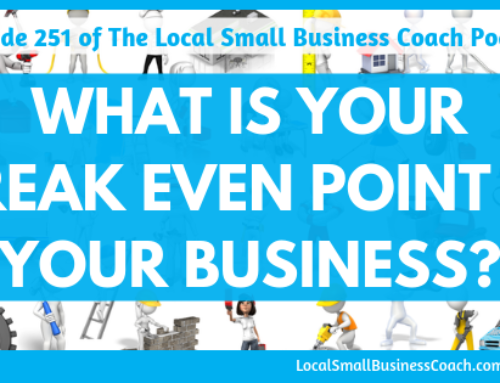 Get Involved in Your Local Community Facebook Pages – I’m not talking about setting up a business page, I’m talking about going into the local community pages as yourself. This doesn’t mean to “sell” your business, but rather, sell yourself as a concerned citizen. By providing great input, you will create recognition. When folks start to recommend businesses similar to yours, odds are you will be mentioned due to the relationships you have built. Run some Facebook Ads Targeting Your Community – For just $5 a day, you can run Facebook ads that are targeted to the folks in your city or town. If you are thinking about this one, I recommend Googling and YouTube to find out more about how to maximize this great opportunity. Create a Social Media Presence – Pick one other social media site to build your brand on. See if there is something that your community seems to be really strong on or you are hearing about while roaming the town. Tell folks to “follow you” on it as well. If you are a visual type of business use Instagram. This is the fastest growing social media site at the time of this article. Create a YouTube Channel that Highlights Your Community – Create a YouTube Channel aimed at your town or city. Highlight things around the town or do videos aimed at things that benefit the town. Tie in your business if you can. This is a great one for photographers, real estate agents or anyone else that provide insight to the area. Get Involved in Local Community Events – You can sponsor these community events or if money is tight, volunteer at them. The goal is to meet as many town folks as you can and when given the opportunity, share what you do and the business you have. Have coupons to give away for example. These are great to drive folks back to your business. Wear your business shirt to spark conversation. Donate Product / Services to Fundraisers – Another great way to get your name and business out there is to donate your services or products to larger events. You can add a coupon or product to gift baskets or other give away packages. Donate candy to the local trunk or treat events that many churches hold. Many of these events give shout-outs to the businesses that participate. Offer a Free, No Obligation Consultation – If you have a business that provides estimates, you should see about doing free consultations or estimates. Some folks have found a great lead magnet is providing these a few months prior to them needing the services to be the first in line and make an impression early and get them into your pipeline. Especially in the winter months to set yourself up for the spring. Go Back to Basics with Flyers – Flyers are a great way to let folks know about your business. Hand them out to people you come across, hang them in other businesses, put them on cars if you can. They worked in the beginning of your business and they will still work today. Be a Team Sponsor – Sponsor local sports teams or other types of teams. You can even think outside of the box and do the debate team, dance, etc. Sometimes you get to do a banner and sometimes your logo can go on their uniforms. Testimonials – Testimonials are great additions to your word of mouth/referral gameplan. You can have these put on your website or other key websites like Yelp or other industry-specific sites potential clients might visit. A great one is on Google. Since we know that folks are using Google, then this is a great place for your testimonials and will help you stand out from the competition. Have a Booth at Local Fairs or Shows – You can get a booth at many local events for only $20 or $50 in some areas. But even if you pay $100, think of the number of people you can get your business in front of at one of these events. Have some coupons to give out or other samples. Use a Sign Twirler – Yep, an arrow on the street with an excited twirler can bring attention to your business. Just make sure the twirler stops occasionally so folks can read the sign. These are great for special days. For example, I had one on $1 scoop days to remind folks of Family Day. What could you put on yours? Post Cards – I recommend targeting the right types of customers for your business if you use Post Cards. You have a better shot at getting their business. However, with the new every door direct program, you can also target entire neighborhoods. Just remember, postcards require a commitment of several over the course of the year to make a difference. Folks may not need you on the first card, so your goal is to remind them you are out there. Use a Side Walk Sign – Depending on your town or city codes, you might be able to place an A-Frame on the sidewalk. These are great for drive-by folks. By seeing them on a daily basis, it puts into their memories your business. When they need you, you will bubble up to top of mind. Create a Contest – Think of a fun contest you can run or be a part of. For example, you can collect business cards for the chance to win a free product or service. Don’t skimp out, pick something that people want or love. They will be more than likely to join the fun. Make it an event people will care about. Free Samples – People love free. So, if there is a way to offer free samples, do it! Pass them out while folks are dinning in your lobby. Introduce them to new products to wet their whistle. Even better, partner up the free sample with a bounce-back coupon. Check in with Past Clients / Customers – Don’t forget those past folks who have used your business. It is way easier to get them to come back than it is to convert a new one. Most folks would use you again if they knew you were still in business. Make a point to reach out to 3-5 past customers a week. Dress as a Mascot – If your business has a mascot, have some fun with it. Create a costume and have them dance on the street or show up to events. This mascot will become a member of the community and people will know they are part of your business. It is just a fun thing to create some buzz. Start a Podcast – Seriously, podcasts are growing like crazy. One trend in podcasting is local shows that focus on the local community. 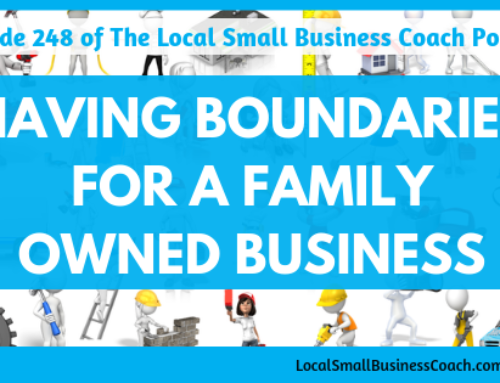 They interview local business owners or share their business. Check some out. While these aren’t the only things you can do to market locally, they should spark some ideas of things you can try. Some are no-brainers and some are a little out of the box. Most cost little to no money and some might require a small investment. No matter which ones you choose, make sure that you never forget that the #1 marketing idea will always be to provide excellent service and fantastic products and service to drive word of mouth and referrals. Have any others you would like to share? Just put them in the comments below.